Air Oasis UV Purifier - For a Real Breath of Fresh Air! The circulatory system transports food, oxygen, and water to every system of the body through an intricate network of blood vessels. It consists primarily of the heart, blood vessels, and lymphatic system. Immune strengthening formula. For cleaning cells and dissolving unwanted materials. When body is clean & healthy, the immune system functions better. Digestion and intestinal. Enjoy its sweet, citrusy aroma and use the uplifting properties of citrus bergamia oil to benefit the nervous and digestive systems. Increase Wood/Bu Xue. Blood Purifier & liver builder. Rebuild weakened liver & remove toxins from blood. A blend of essential and natural ingredients that can help your body maintain proper blood pressure levels. Blood Purifier. Enhances the body's maintenance systems; bowels, kidneys, digestion, skin & immunity. Improves Brain Function, Memory and Alertness. Protects brain capacity. Improves and protects nerves. Bioavailable: rapidly passes blood-brain barrier. Rid the body of acidic waste build up. Blood purifier. Chinese use to eliminate excess nervous energy, sweat out toxins & cool infections (reduce Yang). Helps dissolves fat in arteries. Wide range of circulatory ailments, especially involving veins. Magnesium & vitamin D are required to lock calcium into an effective matrix. Calcium is essential to health. Magnesium is needed for your body to utilize calcium. Help for normalizing blood pressure. A natural immune aid, and for circulation. Hot pepper that cools pain. Stimulant effects speed the circulation aids the absorption of other herbs. Capsicum is added to many herbal formulas as a catalyst for the other herbs. Its red color is partly due to its high vitamin A content. Vital essence of living plants. Chlorophyll builds blood, improves blood oxygenation & helps cleanse the body. Supports healthy cholesterol levels already in the normal range. CLA may help decrease body fat mass and increase lean body mass. A natural Chinese supplement, Cordyceps benefits several body systems, including the circulatory, immune, respiratory and glandular systems. Liver & kidney tonic. Bitter laxative, tonic, & diuretic. For liver/spleen also joints and skin needs. The "Fat" for Your Brain. Thirty percent of gray matter in the brain is DHA (docosahexaenoic acid)�an essential fatty acid. Antioxidant. Vitamin E is lacking in modern food preparations. Natural form. Source of essential fatty acids which are essential to health. Supports glandular and nervous systems. Dissolves & absorbs dietary fat for elimination. Lose weight, cleanse cholesterol. Contains high concentrations of Omega-6 fatty acids and the Omega-3 fatty acid alpha-linolenic acid. For adults and children, attention, focus and concentration. Provides nutrients or normal brain-stimulation levels, supports circulation and neurotransmitters in the brain. Encourages restful, balanced mental activity. Garlic - a known friend to the immune and circulatory systems. Creates Unfavorable Environment For Microbial Growth. Maintains normal circulation, cholesterol, bile flow, and blood sugar levels. Garlic - a known friend to the immune and circulatory systems. Creates Unfavorable Environment For Microbial Growth. Maintains normal circulation, cholesterol, bile flow, and blood sugar levels. Odor controlled! General circulation, blood pressure. Warm extremities. Use this for the glandular system, especially the reproductive organs. It also benefits the nervous system, and it is widely used by skin-care specialists in restoring balance between oily and dry skin and hair. Ginger nutritionally supports the entire digestive process. May be used to help settle the stomach, and support the female body during morning sickness. Circulatory stimulant that supports brain and heart. For memory and mental clarity, a Timed Released Ginkgo Biloba Extract. You only need one a day! Tonic for the nervous system, "brain food" for vitality and many mental needs. Protects brain functioning. Builds circulation in the brain & lower limbs. Here's a warm, light aromatic that's especially helpful for the urinary system, particularly for those on a weight-management program. It also benefits the nervous system during excessive stress. Powerful antioxidant in a antioxidant base of protectors to enhance their effectiveness. 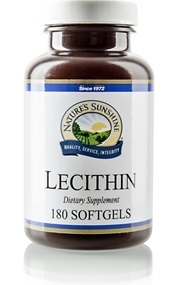 Circulation stimulant helps maintain healthy cholesterol and triglyceride levels & thins blood. A cardiac tonic that strengthens muscle, nerve, bone tissue. Heart & circulation stimulant. Strengthen & balance the heart & circulatory system. Normalize blood pressure/cholesterol. Slow down with the deep warming, grounding emotional effect of Helichrysum oil. Best known for its benefits to injured and problem skin, this oil is an excellent addition to any first aid kit. Heart Stimulant. Balanced circulatory system strengthener. Strengthen weakened hearts, the effect is gradual. Iron from organic sources. For improving iron in blood and liver weakness. Manufacturer of myoglobin and hemoglobin and enzymes involved in energy metabolism. Krill oil naturally contains phospholipids, which bind to the omega-3 fatty acids, improving their absorption in the body. These phospholipids are essential components of all cell membranes. They provide strength and elasticity to the cell membrane, helping to keep toxins out and let nutrients and oxygen in. Glycogen burning amino acid. It is needed to burn glycogen (a primary fuel for the brain). Vital cell substance for fat transport & nerve protection. Helps break down & transport fat molecules. This stimulating sunshine-bright aroma of Citrus limonum has several benefits for the immune, lymphatic, circulatory and digestive systems. Let's not leave out additional benefits of its antiseptic properties. Lymphatic Drainage is designed to drain the lymphatic system. The ingredients work together to clean and tone the lymphatic system. Needed by all cells, important in electrical activity of nerves and muscles. Cleans & nourishes circulatory system. Maintains healthy heart function. Helps keep normal arteries in optimal health. N-Acetyl Cysteine is essential for the body to mount a defense against free radicals, and it supports the natural elimination of harmful toxins. Nourish the Fire/Yang Xin. Heart Stimulant for weakness due to stress & burnout. Adaptogen - rejuvenate body. Olive leaf extract naturally possesses powerful neutralizing properties for immune system and circulatory systems support. A powerful and 'very hot' oil. Supports immune system, normal yeast balances. Dilute well before using in a topical application. Cleansing immune system stimulant especially for skin. Lymphatic, liver, and blood cleanser. Parsley is abundant in odor-absorbing & oxygenating chlorophyll. Has properties to help maintain proper fluid/water levels in the body. This warm, earthy oil of has a history of use for the nervous and glandular systems for both men and women. Perfect Eyes contains herbs and nutrients for optimum ocular nutrition and antioxidants to help protect the body against the harmful effects of free radicals. Lutein specifically has been shown to support the health of the macular region of the eye. Overcome hard & dry conditions. Potassium is a critical component of all cells. For all weakened conditions, immune system support. Blood Cleansing formula. Skin health. Mild enough for children. Contains isoflavones (also found in soy). Red yeast rice supports the body�s ability to maintain cholesterol levels already within the normal range and offers nutritional support to the circulatory system. Live long & prosper. For weakened digestive & nervous systems. 'Spring Cleaning'. For persistent sniffles. With a warm , woody, oriental aroma, Santalum album has a balancing action for the skin, and has traditionally been used for the urinary and respiratory systems. Solstic Cardio offers daily nutrition for your cardiovascular system in a convenient drink packet. Fire Quenching/An Shen. Sedative STRess formula. Moderate the body's response to stress. For excitability & nervous tension. Sunshine Heroes Omega 3 with DHA is a uniquely formulated children�s supplement that provides omega-3 fatty acids. These are essential to human health and development but cannot be manufactured by the body and must be obtained through the diet. Quick energy from mixed algae. Unique mix of nutrients provides protein, carbohydrates, carotenoids, amino acids & minerals. Antioxidants neutralize free radicals & boost the body's immune system functioning. Combining several antioxidants gives more protection than an equal amount of any one of them alone. Omega-3 fatty acids are one of four basic fats that the body derives from foods. Some of the other fats, especially too much saturated fat, can be harmful to the body. But Omega-3s are good for the body and especially good for the heart. Allow Thymus vulgaris to help improve your circulatory, immune, skeletal, respiratory and nervous systems. Its natural woody aroma is not friendly to microbes. Varicose veins not only cause embarassment and discomfort, they can be dangerous, too. Vari-Gone provides support to varicose veins. Astringent that shrinks swollen tissues & helps normalize bleeding. Gums, throats, & digestive tract tissues. Builds liver, emotions- helps you 'sweat it out'. Helps normalize bleeding of all kinds internally & externally. Organic iron for anemia & liver health. Tonic: liver, gall bladder. Can be used during pregnancy.